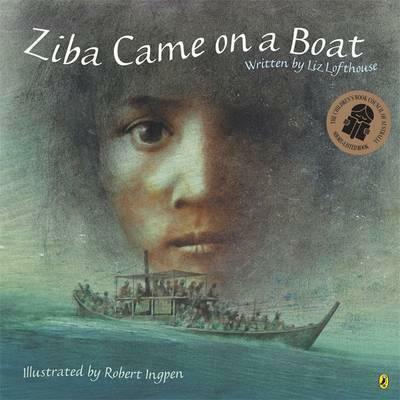 Based on real events, Ziba Came on a Boat is the moving story of a little girl whose family has lost almost everything. This beautiful picture book takes us on her brave journey to make a new life, far from home. Liz Lofthouse was born in Perth, WA, and lived there with her husband and their two daughters. After becoming a primary school teacher, Liz also worked in a volunteer capacity with local refugees. She was inspired to write Ziba Came on a Boat after hearing stories told by people from the Hazara community - refugees from Afghanistan who now live in Perth. Liz passed away from melanoma in 2018. Robert Ingpen has illustrated more than a hundred books for children and adults in his forty-year career. He is the only Australian to have been awarded the highest honour in the children's book world - the Hans Christian Andersen Medal - for his lasting contribution to literature. In 1989, he was awarded the Dromkeen Medal, for his commitment to the appreciation and development of literature for young people. He is one of Australia's best-loved artists and illustrators.